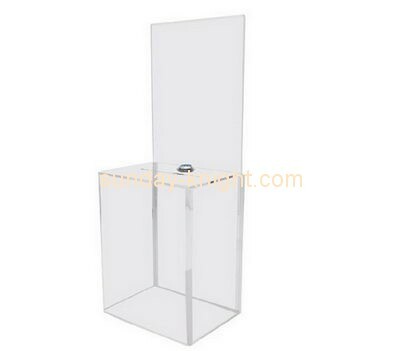 Nowadays, when we step into the store, we can see the plexiglass display stand everywhere. It can be said that the plexiglass display stand has surpassed the display stand of other materials. Then there will be many merchants in order to make the products look clearer and more attractive. 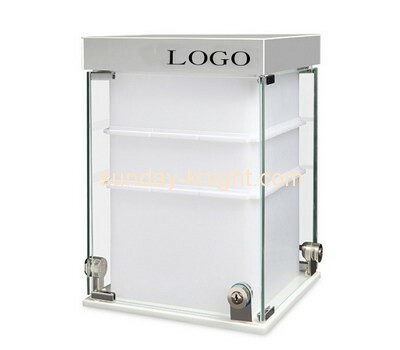 Generally, the plexiglass display racks can be customized according to the characteristics of the products. Then, do you understand the concepts and characteristics that must be understood when customizing these plexiglass display racks? 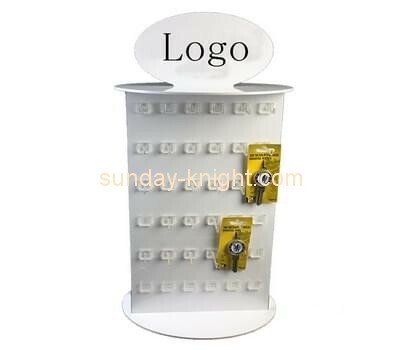 The plexiglass display stand refers to a process in which the plexiglass is processed by hot pressing, inlaying, vertical grinding, breaking grinding, hot feeding, bonding, etc., so that it can be used as a display stand for merchandise display and a shelf in which goods are arranged. Because the display frame and display cabinet processed with plexiglass are not only beautiful and generous, but also can be rotated 360 degrees, so that the product can achieve a very good display effect. 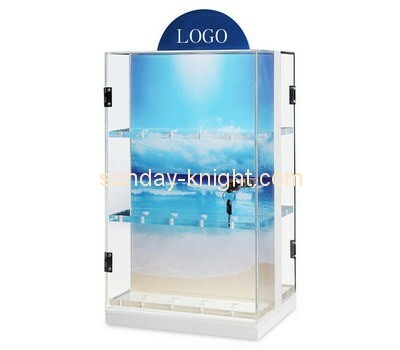 Therefore, the display frame processed by plexiglass has been widely used in shopping malls all over the world, and it has brought great convenience and benefit to the sales merchants. In our country, plexiglass display rack custom processing enterprises are mainly concentrated in developed cities such as Guangdong, Shanghai, Beijing and Shenzhen. Plexiglass It is the most excellent polymer transparent material in the world. Its light transmittance can reach 92% or more. It has higher light transmittance than ordinary glass. Normal glass can only pass 0.6% ultraviolet light, but Plexiglass can pass 73% of the light. The relative molecular mass of plexiglass is about 2 million. It is the longest chain polymer compound. However, the polymer chain is very soft. For this reason, the strength of plexiglass is relatively high, and its tensile strength is stretched. It is 7 to 18 times higher than the impact resistance and ordinary glass. There is a heated and stretched plexiglass whose molecular arrangement is very orderly. This property makes the toughness of the material significantly improved. For example, if a nail is used to nail the glass, there is a phenomenon that even if the nail penetrates the plexiglass, the plexiglass does not crack. Plexiglass has a density of about 1.18 kg/dm3; in other words, it is the same size material, which is only half the weight of ordinary glass and 43% of aluminum. Plexiglass can be cut not only by lathe, but also by drilling with a drill press. It can be obtained by bonding acetone, chloroform, etc., and can be processed into many shapes by blow molding, injection, extrusion, etc. Canopy covers, dentures and even a variety of other products. 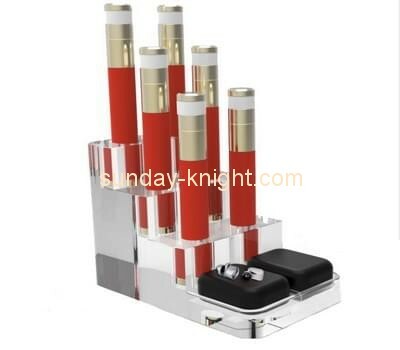 Previous：Merchants like to customize the processing of acrylic display stands, Why? 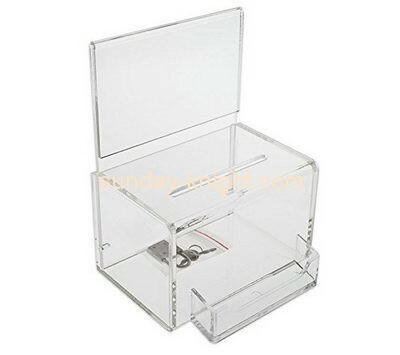 Next：Which custom acrylic display rack factory should be looking for?